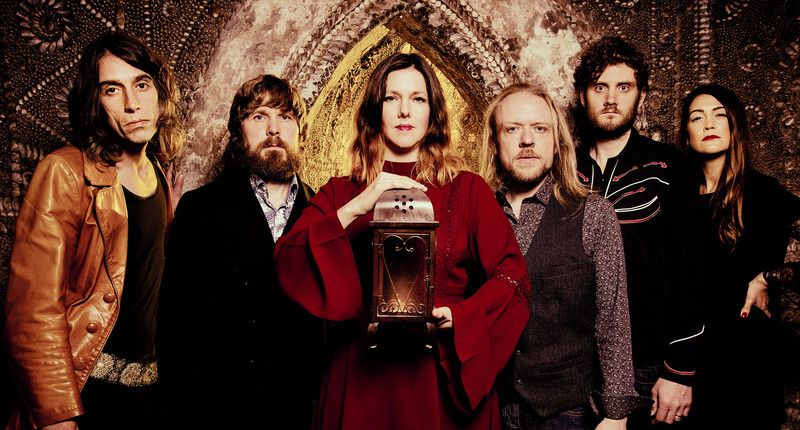 A six-piece band described as “Acid Folk”, appearing out of the Kentish suburbs, and frightening folk fans by pulling out electric instruments and drums alongside their acoustic guitars and violin. Said to emit anything from a gentle whisper in three-part harmony to an hallucinogenic roar. “Elightening” might be a better word than “frightening”, judging by the reactions of Galley Beggar’s reviewers and fans to their first two self-produced albums - and their dynamic performances in pubs, clubs, festivals and folk radio shows throughout the UK since 2009. Bringing diverse musical tastes to the band, all six members converge on the folk fusion of the late 1960s and early 1970s - Fairport Convention, Pentangle, Steeleye Span, Trees, and many lesser known groups whose musicianship was largely overlooked in a rapidly changing music scene. What goes around, it seems, comes around. At the time of writing, Galley Beggar’s Facebook page shows over 12,000 “likes” from fans across the world as testament to the band’s crossover appeal at home and abroad. By exploring and expanding the acid folk genre, they continue to win music fans of all ages - an approach exemplified by a memorable performance at the end of 2013 alongside Trembling Bells and the Incredible String Band’s Mike Heron. Among these fans is psych rock aficionado and doom metal veteran Lee Dorrian, who signed Galley Beggar to his label Rise Above Records in 2014 - and put them together with analogue recording wizard Liam Watson (best known for his work on the White Stripes’ 2003 album “Elephant”). "They are tight and dynamic and there isn’t a folk festival in the country that wouldn’t benefit from having them on the bill." "This band are incredibly powerful, even when playing acoustically." "The themes and textures of Galley Beggar's music all combine together to form a well produced selection of songs that bring a bygone age - or bygone ages - into the twenty-first century. It's a gorgeous, gorgeous sound that demands repeated listens." "This septet ticks every folk rock box you can think of, from big harmonies to stately, thumping rhythms to diddly and, indeed, diddly"